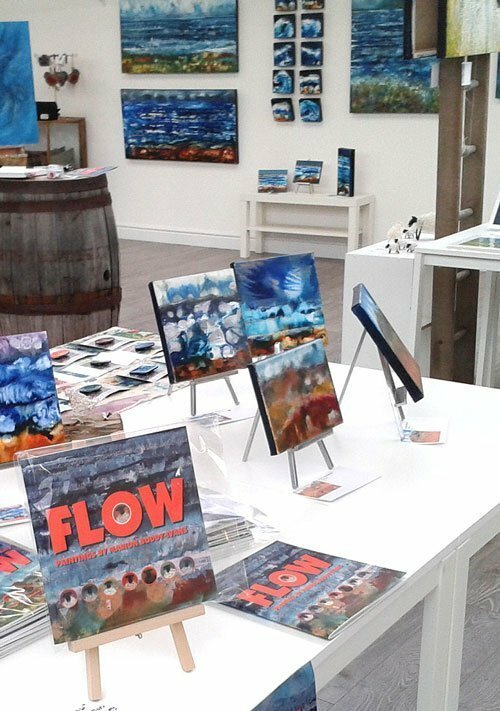 My Flow Exhibition Opens Tonight! The past few days I’ve been taking bubble-wrapped Flow paintings into Skyeworks in batches, as I couldn’t get them all into my car together. Then yesterday the in-house art critic did the hanging, with varying degrees of input from myself and Liza (artist-owner of Skyeworks). 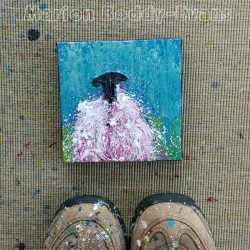 I suspect the most helpful thing I did was pack away all the bubblewrap bags as I find it impossible not to play favourites with paintings. Last night I slept for 11 hours straight, woke up feeling excited and ready for this evening’s opening event. Tomorrow I’m at a Growing Your Creative Business workshop Business Gateway are presenting, then Wednesday to Saturday I’ll be in Skyeworks, so it’s a busy out-of-the-studio week!